Most of us had a great time while we were children. Childhood meant being happy for no reason and living life without any worries. But not all of us are that privileged. Yes. A happy childhood is also a privilege and not all of us enjoy the privilege. Only the lucky ones are able to enjoy their childhood. For some of us, childhood is a synonym of pain and loneliness and sadness and bad parents and what not. Some people go through so much in their childhood that the experiences of childhood begin to affect our adulthood as well. This is because as children if you have had a bad experience, it will stay with you throughout your life. 1) Is trusting yourself difficult for you? 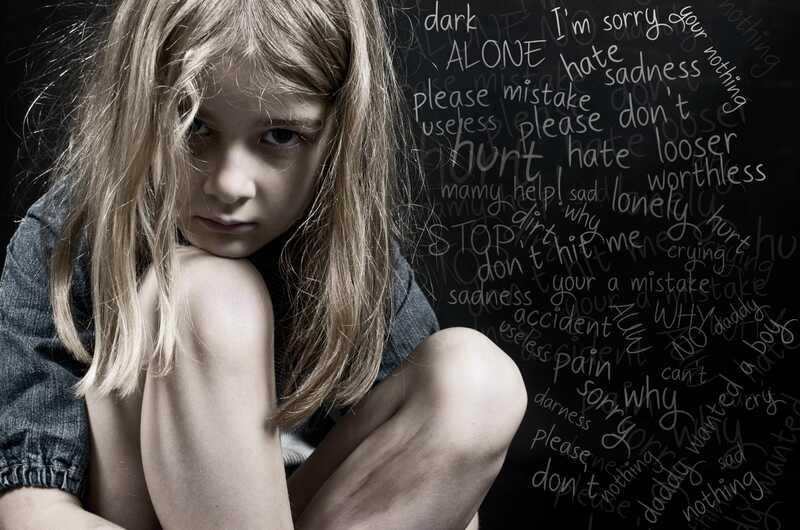 If you have been through emotional neglect in your childhood, you will find it very hard to trust yourself. You always assume that the worst things will happen to you and you will not be able to do anything in your life. This is because the people around you made you feel that you aren’t made for big things or for that matter anything. Don’t do this. How much ever hard it may be, trust yourself and you will see yourself succeeding in life. 2) Do you feel empty? Sometimes life is so very empty for a person who has been through emotional neglect in their childhood. This is because you might see yourself as ‘alone’ all the time. In this process, you let go people who might actually care for you. This ends up in you feeling a gnawing emptiness. Sometimes you feel that you will never be able to overcome this emptiness. Don’t feel so. Don’t break your heart. You will be whole again. 3) Do you love that you are independent? 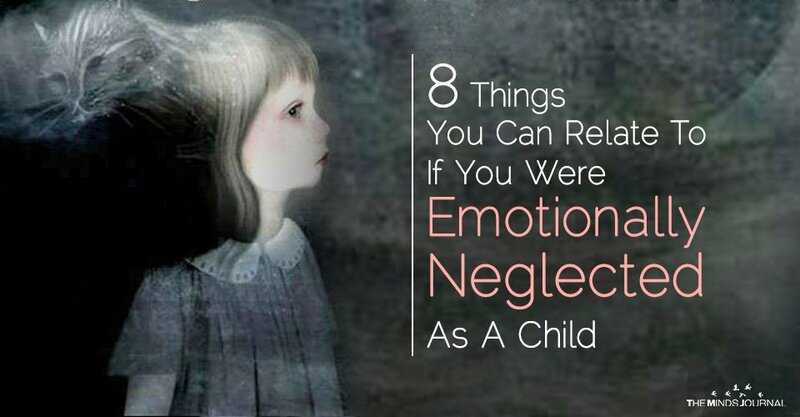 Emotional Neglect forced you to become mature too soon. This means that you took up the responsibilities of your own even as you were a child. And it is so bad to mature soon because this means you lost your childhood too soon. But the fact is that you are proud of your own independence and you won’t give it up for anything else. Well, you should be. Not everyone is as independent as you. 4) Do you love your alone time? The thing is that you might be in a group or you might be surrounded by people who like you but there is nothing in the world that is more valuable to you than your alone time. The reason for this is that your alone time helps you rejuvenate. This means that you need to be alone in order to heal and become better and hence you love your alone time. There is so much that you have to heal from. 5) Do you have mood swings? As a person who has been through emotional neglect, I can tell you one thing for sure and that is that sometimes you don’t know why you are sad. Then there are times when you are suddenly happy and you don’t know why. There is so much movement in your emotions from happy to sad that even you yourself are unable to understand your mood swings. Surely, it is super hard to deal with mood swings because only a few people around you will understand them. Others shall only judge. 6) Do you criticize yourself too much?